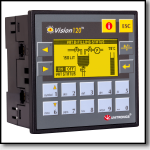 New VFDs - Unitronics’ VFDs seamlessly integrate with their UniStream, Vision, and Samba PLC + HMI All-in-One controllers. 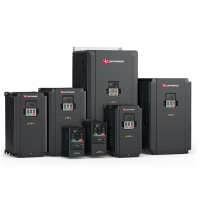 Pairing Unitronics VFDs with Unitronics controllers offers a faster, easier alternative to other VFDs on the market: all tasks can be programmed using the same software environment as the PLC and HMI applications. 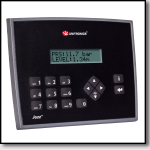 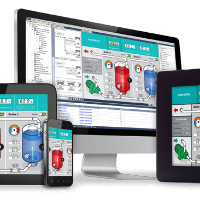 Users can rapidly set up, configure and commission multiple VFDs as well as use Remote Access to monitor the VFD via the software, web server, or even a VNC connection. 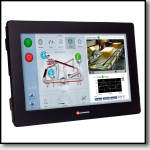 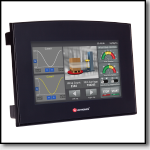 PLC + HMI All In One - Unitronics offers a complete range of PLC + HMI All in Ones that include free powerful intuitive software. 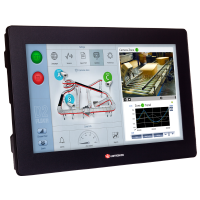 Unitronics has four series to provide solutions for high-end machine and automation projects to simple machines requiring low I/O and text display.